Colombian soccer in the 1980s and 90s was inextricably linked to society, and the Andres Escobar murder was a sad illustration of this fact. Atletico Nacional defender Escobar played at a time when the millions made out of the illegal drugs trade funded the sport, putting soccer domestically and internationally at an all-time high. The man chiefly responsible for this was Andres’ namesake Pablo Escobar, often referred to as the "World's Greatest Outlaw". "El patrón" was something of a Robin Hood figure who, born into poverty himself, had great sympathy for the poor. He built houses, schools, and soccer pitches and was loved by a great many Colombians. He was also a soccer fanatic and went on to own Atletico Nacional, using the club to launder his illegal drug money. He ensured that the club kept its best players and was able to pay them high enough wages to prevent them being enticed by rich clubs in Latin America, Mexico, and Europe. He was also friends with the Atletico Nacional players and would invite them to his ranch for ‘all-star’ soccer games which he would bet large sums of money on with other cartel leaders. 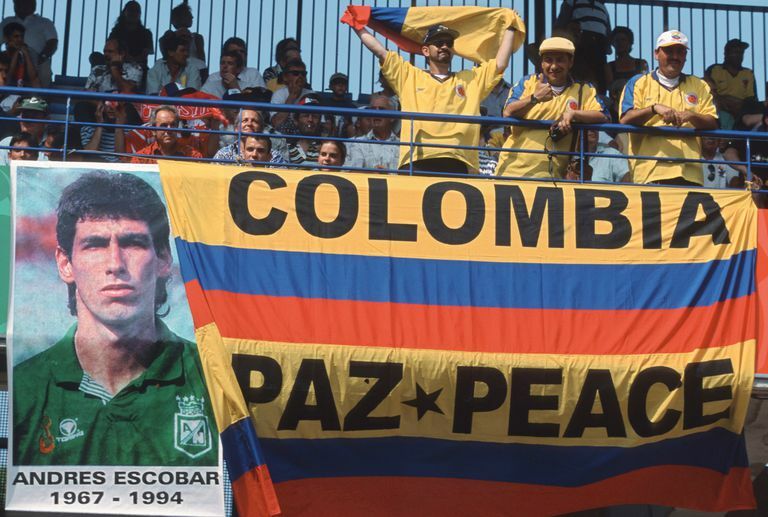 Andres Escobar was never keen on such a close association with his namesake but would adopt a ‘grin and bare’ mentality. Pablo Escobar was eventually killed by Colombian National Police after he went on the run with his bodyguard Alvaro de Jesús Agudelo. Rival cartels also played a prominent role in his downfall, with a vigilante group called Los Pepes (Los Perseguidos por Pablo Escobar) — or "People Persecuted by Pablo Escobar," formed in order to track down and kill Pablo Escobar. 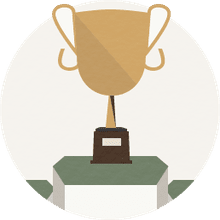 The killing occurred just a few months before the World Cup finals, which Colombia had reached after a triumphant qualifying campaign that had included a 5-0 win away to Argentina to seal their route to the US. But the team’s superb run in qualifiers and friendlies increased expectation in their homeland, and Andres Escobar’s city Medellin was in disarray after Pablo Escobar’s shooting. There were reports that soccer gambling syndicates had bet large amounts of money on Colombia’s progression to the second round and players were receiving death threats from back home. Their 3-1 defeat to Romania in the first group match meant that their clash with hosts the US was a crucial fixture and one they had to win. Andres Escobar’s 34th-minute own goal signaled the death knell for Colombia’s hopes of qualification. The number 2 stretched to intercept a left-wing cross from John Harkes but only succeeded in wrong-footing his goalkeeper Oscar Cordoba and putting the US in front. The hosts won 2-1, Colombia was on their way home and Andres Escobar was devastated. But he refused to succumb to self-pity, even writing an editorial in the Bogota newspaper El Tiempo expressing his regret for the goal but ending with the words, “See you soon, because life doesn’t end here”. He made the mistake of going out with his friends soon after returning to Medellin, despite warnings that he should keep a low profile in a city desperately disappointed at Colombia’s lackluster showing in America. Andres Escobar was allegedly baited about his own goal in a nightclub and went out to the car park to drive home. He was accosted by three men and a woman and as he argued with them, protesting that his own goal had been a mistake, two men took out handguns and shot him six times. He was escorted to the hospital and pronounced dead after 45 minutes. Humberto Castro Muñoz, a bodyguard for members of a powerful Colombian cartel, confessed to the murder and was sentenced to 43 years, but let out after approximately 11 for good behavior. Muñoz was also the driver for Peter David and Juan Santiago Gallon Henao, and one version of the story claims they bet heavily on the team and were upset at having lost. The Gallon brothers were drug traffickers who had left Pablo Escobar’s organization to join Los Pepes. In the documentary ‘The 2 Escobars’, one of Pablo Escobar’s closest confidantes claims the Gallons’ ego had inflated to such an extent after they had helped bring him down that they resented being answered back to by the player. It had nothing to do with gambling, he argues. He claims in the documentary that it was not the bodyguard who shot Andres Escobar but the Gallon brothers who then paid Carlos Castano, a prominent figure in an extreme right paramilitary organization, to buy off the prosecutor’s office, and the murder investigation was redirected towards the bodyguard who was jailed. The documentary claims that had Pablo Escobar still been alive, Andres Escobar would not have been targeted by the Gallon brothers because "El patrón" was a soccer fanatic and friends with the national team players. Escobar's funeral was attended by over 120,000 people and his murder prompted several players to quit the Colombia national team or retire altogether. Fernando Botero: "The Most Colombian of Colombian Artists"
How Many Players Are There in a Soccer Match?